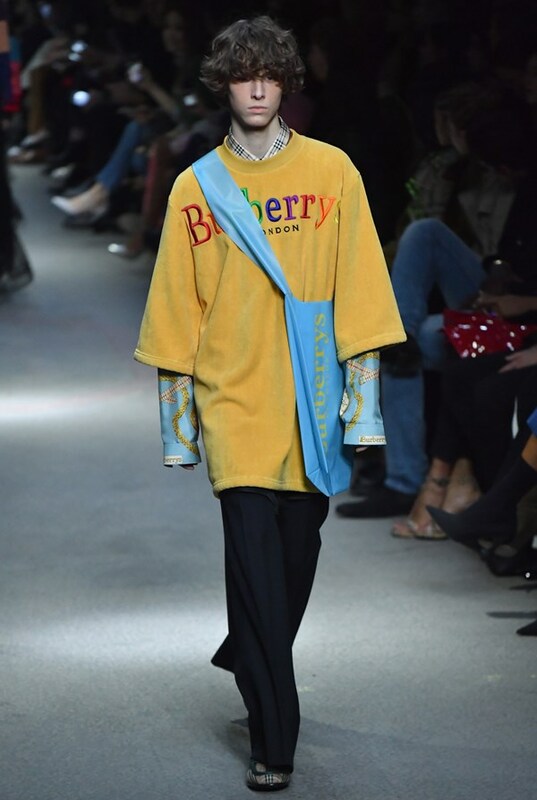 For the last time, Christopher Bailey presented his collection for Burberry AW18 in a show entitled Time. Held in the historical venue of the Dimco Buildings in West London, guests were met with an experience of past, present and future. 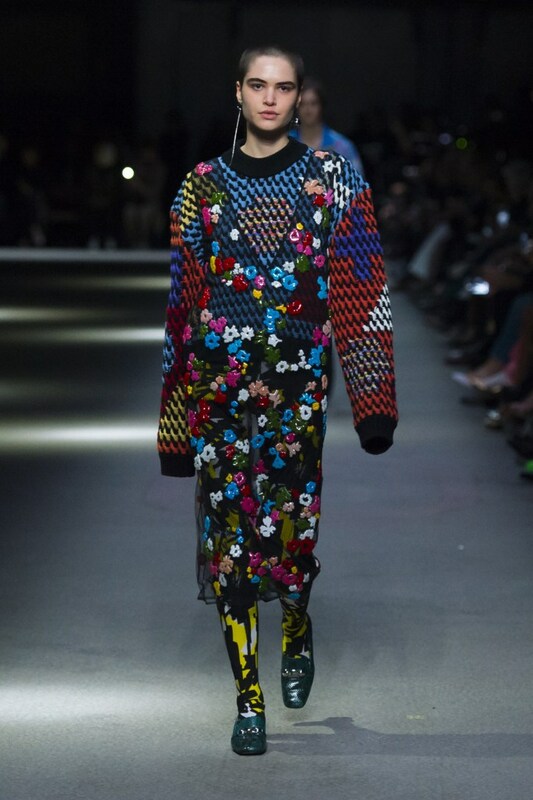 The show was dedicated to LGBTQ+ organisations, with the brand donating to three charities. It was certainly a moment of pride for Bailey, much like every aspect of the show championing the six colours of the Pride flag. 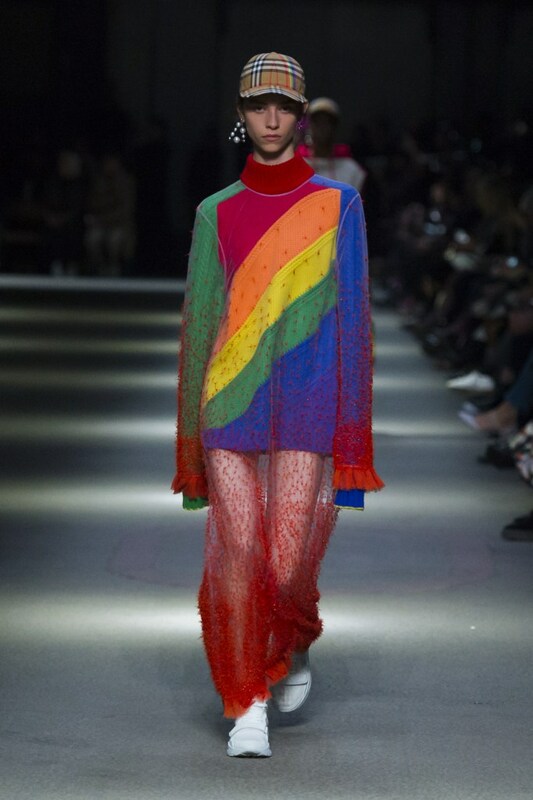 The rainbow – a symbol of hope, happiness and inclusivity featured heavily throughout the show, whether it be from the reinvented check now incorporated with the colours (the Rainbow check), or Cara Delevingne’s floor-length cloak which she swept and swayed along the runway. The bright stripes appeared on sweaters, gilets and down one side of the oversized maxi skirt of Adwoa Aboah.